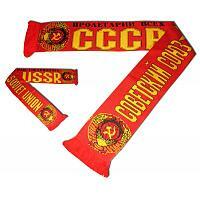 Authentic Russian national football (soccer) team fan scarf. Warm and comfortable. Will keep you warm at a game or in cold weather. And, if you ever get to a game of any Russian national team, you could always hold it high cheering for them. Imported from Moscow. Ships within 5 business days.